Curmudgeonry: What Does the Garden Grow? What Does the Garden Grow? 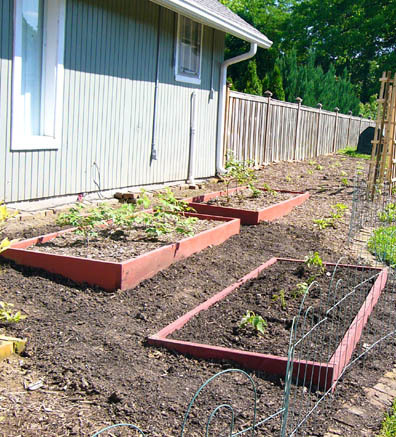 I want a pretty vegetable garden, but I also want it to provide me with tasty things to eat. In the area closest to the house, I have herbs (basil, rosemary, lavender, thyme, and oregano), strawberries, five blueberry bushes, leeks and green onions. 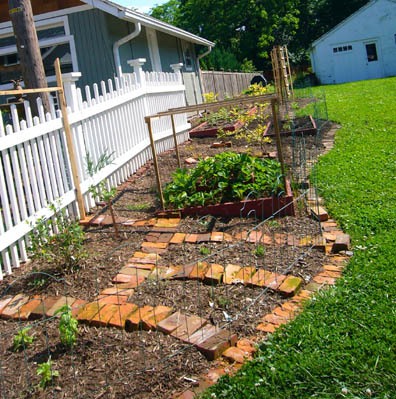 The bricks serve to divide the various plants and also provide paths to walk around the plants and get to things. Next come raspberries, bell peppers and celery. I planted twelve raspberries last year and lost several due to my own neglect. Still, I have twelve or thirteen plants and I gave away at least that many. I planted regular red bell peppers as well as some purple ones, just for fun. My tomatoes, okra, hot peppers, cucumbers, zucchini, and yellow squash are in the next section. The tomatoes are a German pink heirloom, a cherry, a grape, a yellow pear, and a yellow slicing tomato. I also have a bunch of volunteer tomatoes growing up around the compost from last year. I am undecided about whether to find more room for 'maters or give them away to deserving friends. Probably the later, although I would love to know which tomato self seeded so prolifically. As you can see above, we have non-traditional tomato cages. We've always been disappointed by the typical metal tomato cages, which are never tall enough for an indeterminate sized tomato plant. 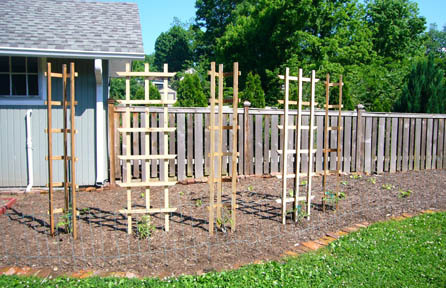 A friend of mine uses decorative trellises to good effect, but the cheapest we found those was $10 each at Aldi and for five tomato plants the price was too high. But as I've mentioned before we have plenty of scrap wood. Justin ripped a bunch of boards and nailed these together. They won't last as long as metal trellises, but the price was right. We're trying two different shapes -- a flat surface and a wedge -- to see which shape we prefer. 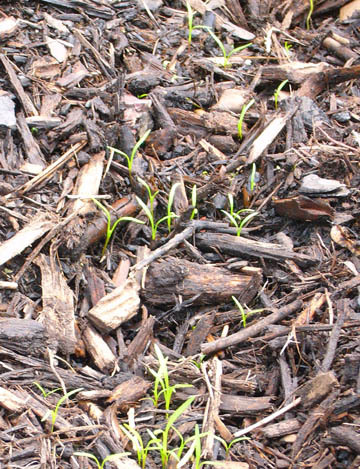 At the very end of the garden, I planted some carrot seeds (the only thing I did from seed this year) and a few turnips. 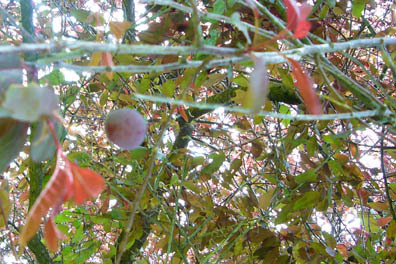 I'm also very pleased that my (theoretically ornamental) purple leafed plum trees produced fruit again this year. The plums were delicious last year and I made some good freezer jam. Everything in the beds is looking good and growing. So far, I've been keeping the weeds and the bugs at bay. 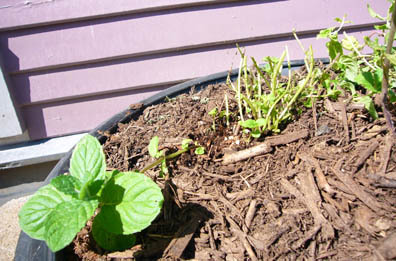 Unfortunately for the mint I put in a pot by the back door, it's harder to keep the toddler at bay. check out my new fresh blog! Lovely, but who has to pick the okra?!?! ACK.